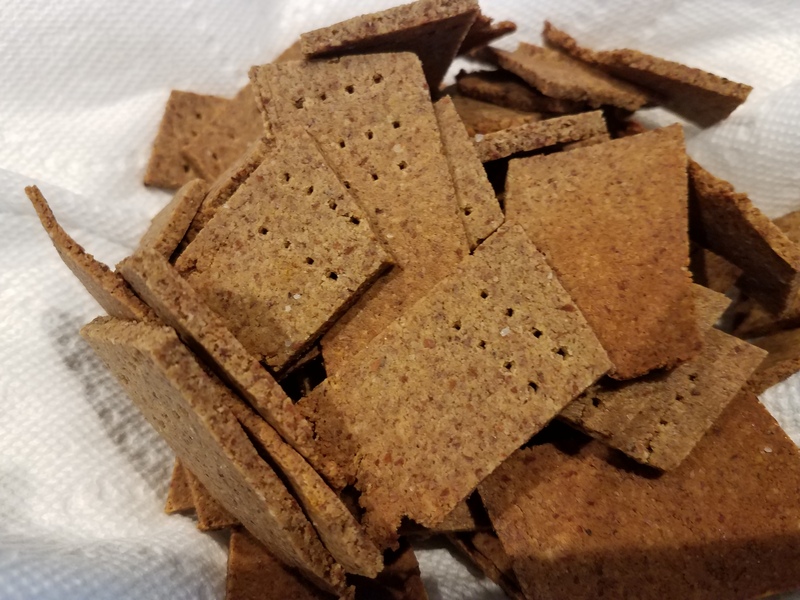 Made some gluten free, keto friendly crackers this morning, they taste a bit like wheat thins, probably would be more so if we added some sesame seeds before toasting. 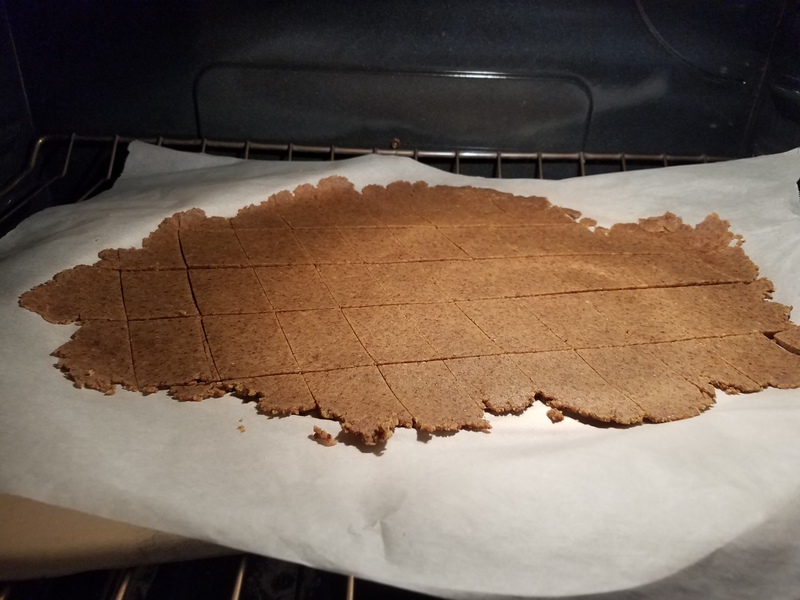 Here’s some pics and the recipe if you are interested in trying them! Place all ingredients into a food processor, or bowl. Stir until it becomes dough like. Bake at 350 degrees for about 15 minutes. Watch it so they don’t burn. 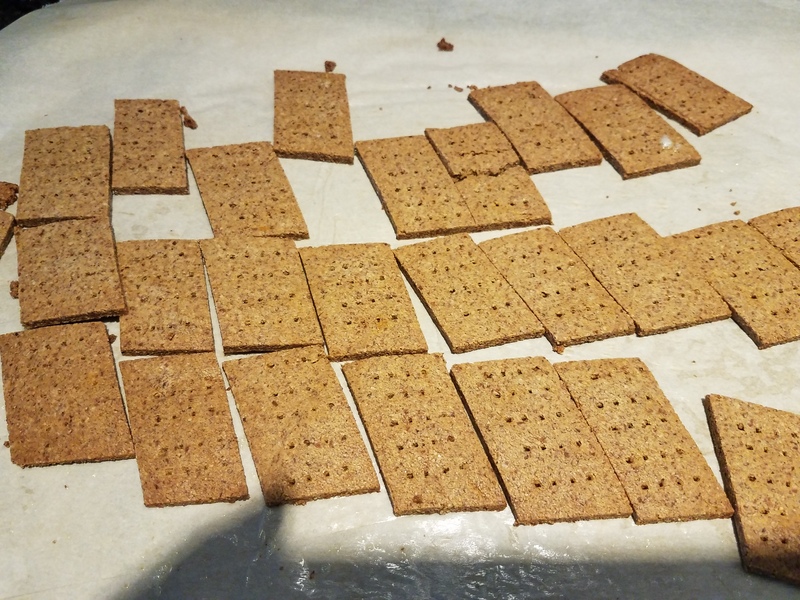 I forgot to poke my crackers with a fork before I cooked it, so I had to add an extra 10 minutes… If the edges get done early, pull those crackers out and keep cooking the center.